Assurance Investigations Group is a full service Private Investigations firm servicing all of Massachusetts and Connecticut. Assurance Investigations Group is built on its tradition of providing investigative excellence. Our investigative services have helped thousands of adjusters, attorneys, and private citizens to gather the information they need to make educated, responsible decisions. 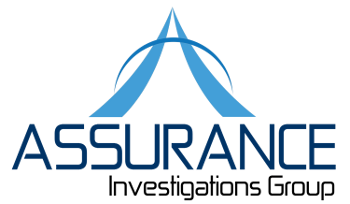 Here at Assurance Investigations Group we believe that getting the job done correctly the first time is critical to developing a long term relationship with our clients. That is why we invest in only the highest quality people, equipment, and training. By using only the best investigators we are able to consistently produce result where other private investigative companies have fallen short. Assurance Investigations Group takes great pride in our professionalism and confidentiality. We guarantee that we will not embarrass you or your company. We have a strict code of ethics we follow and all of our private investigators are experienced and make for strong credible witnesses in and out of court. Assurance Investigations Group is a full service Private Investigative firm. Listed below are just samplings of the most common services we offer. The services offered are both cost effective and tailored to our client’s needs. Please contact us for additional information and price quotes. Copyright © 2019 Assurance Investigations Group.